Sneakerheads, you wouldn't want to miss out on this sweet deal! 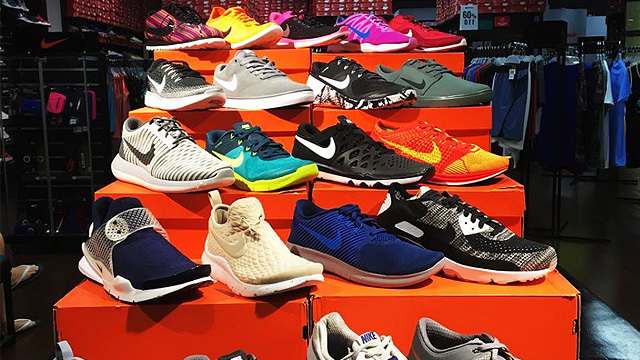 (SPOT.ph) Now that Christmas is just around the corner, you have a very good reason to treat yourself to a brand-new pair of kicks! 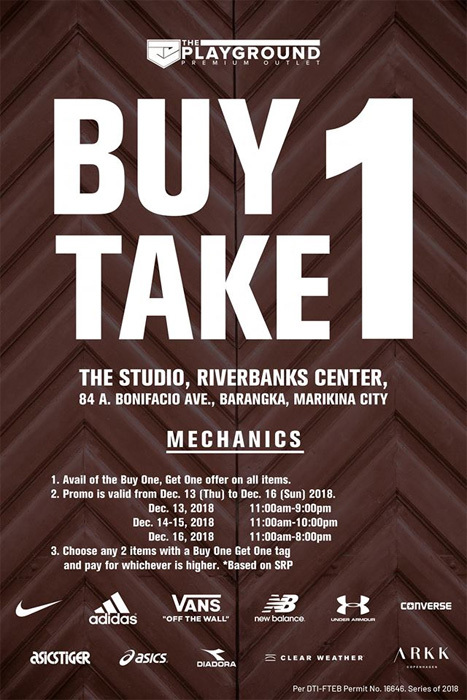 Plus, here’s something that will help you get the most bang for your buck while you’re at it: The Playground Premium Outlet Store is having a Buy-One-Get-One Sale from Thursday to Sunday, December 13 to December 16, at The Studio in Riverbanks, Marikina City. Enjoy the buy-one-get-one deal on pairs from brands like Nike, Adidas, Vans, Converse, New Balance, ASICS, and more. The sale is happening from 11 a.m. to 9 p.m. on December 13, 11 a.m. to 10 p.m. on December 14 and 15, and 11 a.m. to 8 p.m. on December 16. 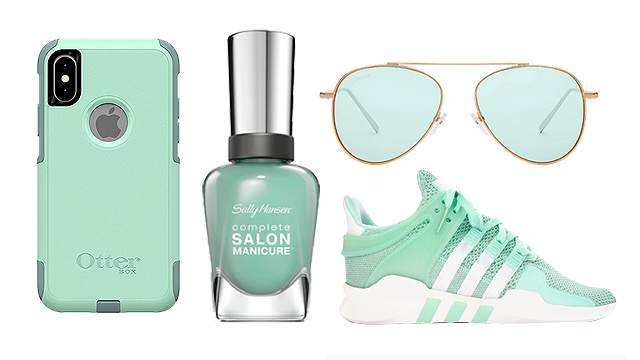 We suggest you drop by as soon as you can to get dibs on the coolest pairs!